Each May, over one hundred Grade 4, 5 and 6 students from area schools attend the Georgian Bay Water Festival at Killbear Provincial Park, a core area of the GBBR. Local elementary schools participate in the festival on a rotating basis, with more than 1,500 students attending the water festival since 2007. The event depends the leadership of 35 to 40 Parry Sound High School volunteers. The Festival brings students together to spend a fun, educational day learning about water ecology and conservation, including local issues such as invasive species and water pollution. The activities help students become more aware of how water is used in their home, classroom and community. For example, a classic Water Festival activity is called From the Bay and Back Again. Students pretend to be one of twelve specific parts of a water cycle; from rain, to shower, to treatment plant, to Georgian Bay. Students determine the order of their water cycle then come up with a sound and action that represents their word. Once the water cycle is acted out completely, students discuss components of the water cycle, how clean, treated water is delivered to homes, and how water is continually reused. All Water Festival activities are hands on, examples include: Rolling In The Watershed – a watershed based activity; Murder Handshake – about invasive Phragmites; What a Waste – a water conservation contest; and No Water Off a Duck’s Back – about sustainable development, oil spills and chemical pollutants’ effect on water fowl. Killbear Provincial Park staff lead a biology station where students learn about algae, plants and invertebrates in the food chain and can observe them in an aquarium. Then kids use nets to collect underwater creatures like water beetles, minnows, and dragonfly larvae. Another station is led by special guests from area First Nations who speak to students about Anishinabek culture and the significance of water. GBBR staff thank all of the partners that help make this event successful, and are extremely grateful for the volunteer time from the Parry Sound High School students and Mr. Graham Poole. Check out the Parry Sound Water Festival Guide – a ‘how to’ for running your own Water Festival! Check how much water your family uses and compare it to the Canadian average. Learn more about what a water footprint is. Check out your personal water footprint.  With your support, we can expand our impact in the Georgian Bay region through conservation and education.